Imagine if you were able to reverse aging and bring your body back to its original health and vigor. Researchers have already discovered a group of drugs called senolytics which perform this miraculous transformation in mice and are testing them in humans as we speak. The research holds promise that we may not have to suffer from the ill health of old age. Yesterday, Mayo Clinic researcher James L. Kirkland, M.D., Ph.D., published a review of these senolytic drugs and explained the rationale behind each compound as a potential anti-aging treatment. Our bodies are home to damaged cells called senescent cells, also known as zombie cells. All of us have senescent cells, beginning in our youth. One of the Hallmarks of Aging is that these damaged cells build up naturally as we age and cause chronic inflammation and disease. Senescent cells are the walking dead of our organs and generate a low-level persistent inflammation known as inflammaging. Zombie cells are suspected to cause many of the chronic diseases of aging such as arthritis, type 2 diabetes, heart disease, aging skin, and perhaps even cancer. Anti-aging proponents such as Aubrey de Grey of the SENS Research Foundation and other lifespan extension enthusiasts have been long advocating for ways to remove these troublemakers. Senolytic drugs are compounds which clear these senescent cells from our bodies and they have demonstrated remarkable results. Elderly mice treated with senolytic compounds had more energy and appeared more youthful and were able to run twice as far as untreated mice. Treatment with the senolytic compound improved their kidney function and regrew their fur. Over the decades a variety of hazards attack our cells, including toxins and radiation. As well, our cells have a limited warranty, in that they divide about 50 times, their telomeres shortening with each division. When a cell has reached the end of its useful life, it is programmed to self-destruct in called apoptosis. Unfortunately, some of these non-functional cells refuse to commit suicide. The body’s immune system clears out many of these holdouts, however, are immune function weakens with age, causing increasing numbers of these zombie cells to build up. Senescent cells don’t just sit around idly. Instead, they wreak havoc throughout our bodies, by churning out buckets of inflammation-producing compounds and releasing them into our tissues and bloodstream. 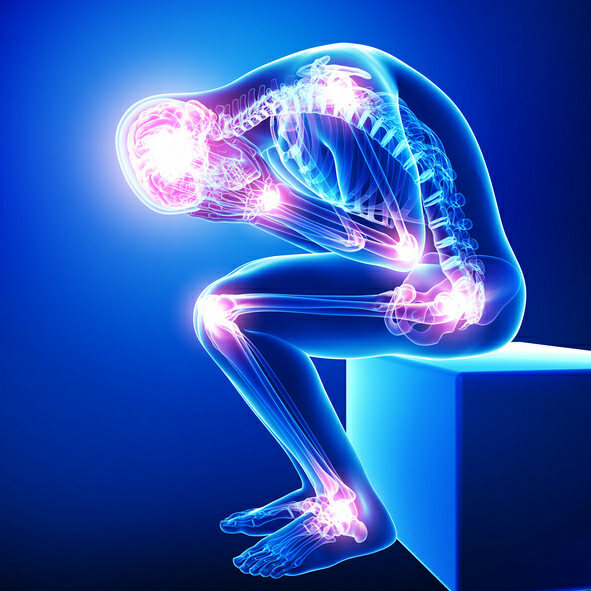 Chronic inflammation. Credit: Pixologicstudio / iStock. And what happens when we remove these senescent cells from our bodies? As if that wasn’t bad enough, the pro-inflammatory compounds emitted by senescent cells also encourage nearby cells to become senescent as well. Like zombies, senescent cells induce their perfectly healthy neighbors to convert into troublemakers. This causes the aging process to accelerate with each passing year. Senolytics are the only thing that science has to stop this downward spiral. Senolytic compounds kill these zombie cells and reverse the toll they take on the body and their contribution to the aging process. The Mayo Clinic researcher identified a list of the most well-known senolytic compounds, including Dasatinib, Navitoclax (ABT-263), Piperlongumine, Quercetin and the FOXO4-DRI peptide. As well, Dr. Kirkland listed newer senolytic compounds, such as alvespimycin (17-DMAG), tanespimycin (17-AAG), A1331852, A1155463, Fisetin, and Geldanamycin. As Dr. Kirkland reveals in his review, the medical field is shifting from the traditional approach of treating the ailments of aging one-by-one and instead treating aging as a single disease. We might not have to wait long; researchers are currently conducting a clinical trial to test two of the senolytic compounds in patients with brain tumors. More trials are in the works. All over the world scientists are in a race to bring senolytics to the clinic. The field has heated up in the past several years, with some groups approaching the problem of aging from different angles. Many firms have been started to commercialize senolytics, with the startup Unity Biotechnology leading the pack. Unity plans to have a senolytic drug in human clinical trials by the end of this year. Mayo Clinic plans to conduct clinical trials with a senolytic compound of their own. Other companies, including Oisin Biotechnologies, are hot on the heels of Unity, furthering adding to the race to be the first to bring one of the candidate senolytic compounds to market. Assuming one of these organizations brings a compound to market, senolytics will be the world’s first rejuvenation technology. 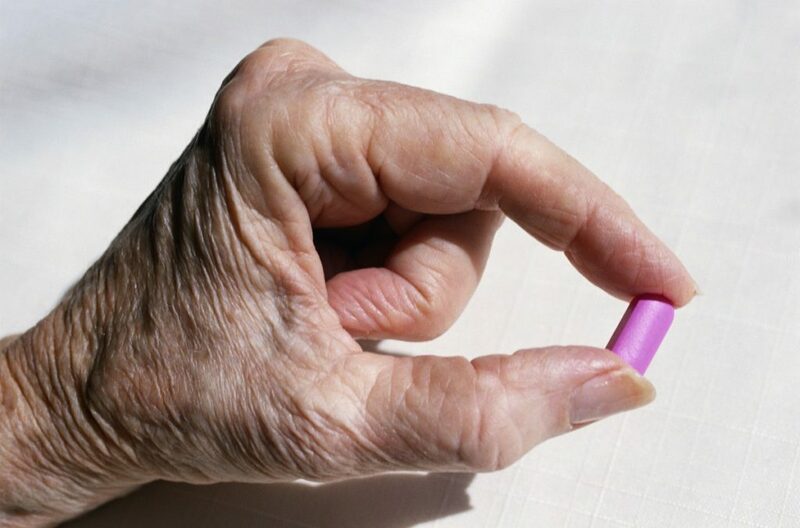 Senolytics are the leading lifespan-extending therapy, a class which includes the diabetes drug metformin, now being tested as an anti-aging drug in clinical trials. Other anti-aging interventions are also under development, such as telomere therapy, calorie restriction and the Fasting Mimicking Diet, and the lifespan-extending drug rapamycin. Anti-aging compounds called senolytics have the potential to reverse aging in humans. Scientists have identified several senolytic compounds which reverse aging in mice; this list includes Dasantib combined with Quercetin, Navitoclax, the FOXO4-DRI peptide, and alvespimycin (17-DMAG). Other senolytics have only been shown to work in the test tube. Many groups are working to bring an effective senolytic to the clinic. None of these compounds have been tested in clinical trials, with two trials currently underway. This report tells you more about senolytics and senescent cells, including a description of the senolytic compounds currently in clinical trials. Watch a film clip explaining how senolytic compounds work, in this new video on senolytics and two other revolutionary compounds. Mayo Clinic researchers use senolytics to reverse symptoms of respiratory disease in mice and hope to translate it to humans. One click helps us spread the word – Share this post on with your friends on social media. It only takes one click on any of the social media links on this page. Sign up for our email list – We use your email to notify you of new articles. We won’t send you spam, and we won’t share your email address. You can cancel at any time. Tell us what you think – Please scroll down to enter your comments. James Kirkland, T. Tchkonia, Y. Zhu, L. Niedernhofer, and D. Robbins. The Clinical Potential of Senolytic Drugs. (2017). Journal of the American Geriatrics Society. DOI: 10.1111/jgs.14969. Available Online. Carlos López-Otín, M. A. Blasco, L. Partridge, M. Serrano, and G. Kroemer.The Hallmarks of Aging. (2013). Cell, 153(6), 1194-1217. Available Online. J.-P. Coppé, P.-Y. Desprez, A. Krtolica, and J. Campisi. The Senescence-Associated Secretory Phenotype: The Dark Side of Tumor Suppression. (2010). Annual Review of Pathology, 5, 99–118. B. G. Childs, D. J. Baker, T. Wijshake, C. A. Conover, J. Campisi, and J. M. van Deursen, Senescent intimal foam cells are deleterious at all stages of atherosclerosis. (2016). Science, 354(6311), 472-477. Available Online. Jan M. van Deursen. The role of senescent cells in ageing. Nature. May 22, 2014; 509(7501): 439–446. Available Online. Zhu, Y., Tchkonia, T., Pirtskhalava, T., Gower, A. C., Ding, H., Giorgadze, N., & O’Hara, S. P. The Achilles’ heel of senescent cells: from transcriptome to senolytic drugs. (2015). Aging Cell, 14(4), 644-658. Baker, D. J., Wijshake, T., Tchkonia, T., LeBrasseur, N. K., Childs, B. G., Van De Sluis, B. and van Deursen, J. M. Clearance of p16Ink4a-positive senescent cells delays ageing-associated disorders. (2011). Nature, 479(7372), 232-236. Roos, C. M., Zhang, B., Palmer, A. K., Ogrodnik, M. B., Pirtskhalava, T., Thalji, N. M., & Zhu, Y. Chronic senolytic treatment alleviates established vasomotor dysfunction in aged or atherosclerotic mice. (2016). Aging Cell. Diagnosis, Advice, and Treatment: This article is intended for informational and educational purposes only and is not a substitute for professional medical advice. Senolytic compounds are experimental drugs and have not been proven to be safe and effective in clinical trials. Experimental drugs such as senolytics carry a much higher risk than FDA-approved drugs. The information provided in this report should not be used during any medical emergency or for the diagnosis or treatment of any medical condition. Consult a licensed physician for the diagnosis and treatment of any and all medical conditions. Call 911, or the equivalent emergency hotline number, for all medical emergencies. As well, consult a licensed physician before changing your diet, supplement or exercise programs. Photos, External Links & Endorsements: This article is not intended to endorse companies, organizations or products. Links to external websites, depiction/mention of company names or brands, are intended only for illustration and do not constitute endorsements. Can We Cure Diabetes With a ‘Pancreas in a Box’ Grown from Stem Cells? Very nice article on senolytic drugs. But we already have an excellent drug for preventing formation and increasing removal senescent cells. See paper “Rapamycin inhibits the secretory phenotype of senescent cells by Nrf2 independent mechanism. Wang 2017. So not really about a having an FDA approved drug that decreases burden of senescent cells. It is about having such a drug in which you own the patent. Not about finding a great drug; all about finding a great drug that we own as regards human trials. Thank you for the compliment on the article. Regarding: “all about finding a great drug that we own as regards human trials.” You point out the inherent problem in fully developing geroprotectors: patentability. Big pharma doesn’t want to pay for the clinical trials.